The author, an Indian Islamic scholar, claims that previous studies of this community have ignored the religious element in histories of this community in Britain. 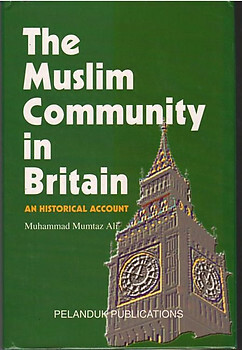 Like most branches of Christianity, Islam is a missionary faith, so he chronicles the vicissitudes experienced by the community in the spread of Islam from its first arrival in the UK before the 9/11 attacks. 126 pages including a bibliography. Condition: New Hardback in a similar Dust Jacket.